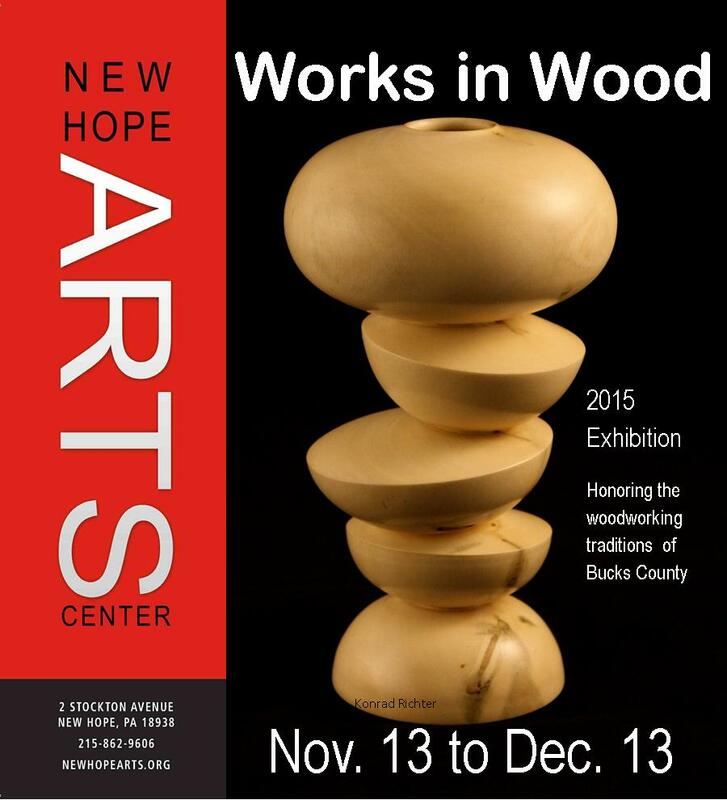 New Hope Arts hosts its annual juried exhibition celebrating the woodwork tradition of Bucks County from November 13 through December 13. The Works In Wood venue features fine furniture, sculptural forms and vessels in a wide range of styles and techniques presenting an exciting showcase of the wood medium in the hands of contemporary artists. Works in Wood honors the rich cultural heritage of Bucks County woodworking while celebrating the new visions of the contemporary artists who reside in our region and beyond. As a national juried show, Works in Wood features artwork from the finest talent in the country today. Works are not limited by function but must be original in design and artists must incorporate at least 50% of wood in each piece. The annual exhibition features functional and non-functional works, studio furniture, turnings, constructions, sculpture and vessels in which artists use wood as their primary media. Miriam Carpenter - A graduate of RISD, Miriam Carpenter has had the honor of designing furniture alongside Mira Nakashima for seven years, exhibiting her work in “An Evolving Legacy” which featured collaborations by Mira and Miriam at the Moderne Gallery in Philadelphia, PA. In 2014 she was awarded consecutive residencies beginning with international Windgate ITE Residency sponsored by the Center for Art in Wood followed by residencies with furniture makers, sculptors, scholars, and environmental stewards in Australia, Tasmania and New Zealand. Her work has been exhibited most notably at the Wharton Esherick Museum, Arrowmont, Wayne Art Center, Center for Art in Wood and Saskatchewan Craft Council. Upon returning to the United States, she has been invited to live and work as Artist in Residence at the Antonin Raymond Estate in New Hope, PA, and has been invited to teach and lecture across the country. View Miriam's work here. Suzanne Perrault - Suzanne Perrault is a partner in Rago Auctions Inc. in Lambertville, NJ specializing in 20th/21st C. Design. , where she heads cataloging and co-directs the department. Suzanne has appeared as an appraisers on Antiques Roadshow since its inception in 1996.